This Deck is designed for an algebra based physics course. But could be used in middle school science courses when looking at physical science if students are comfortable with exponents. 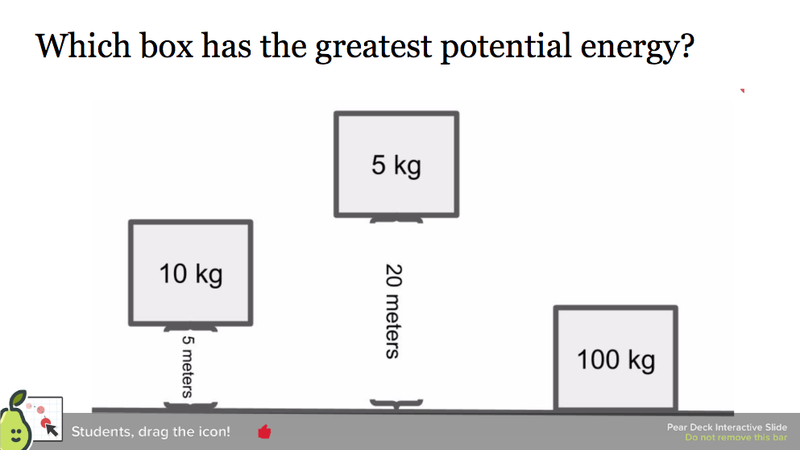 This lesson covers the difference between potential and kinetic energy. It requires students to experiment with a simulation to report out the relationships they see.